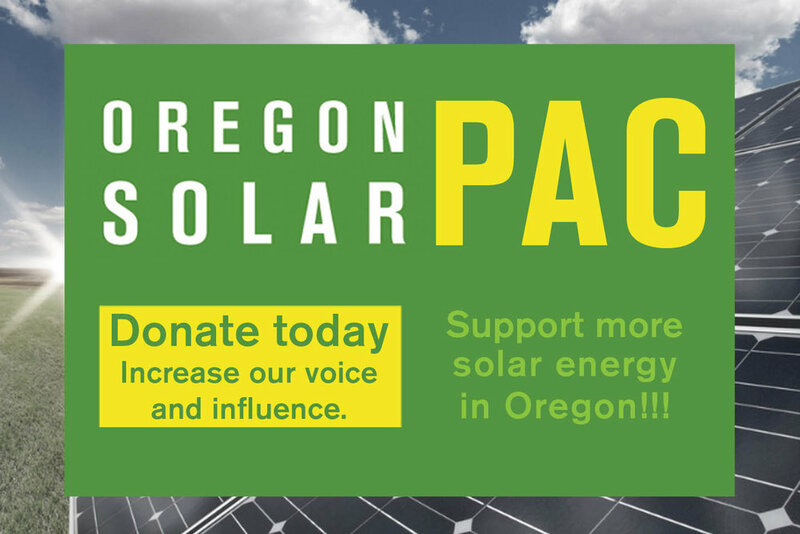 It's been a great week for solar in Oregon's capitol! On Monday the House Environment and Energy Committee unanimously passed OSEIA's top priority bill, HB 2681, which would extend the Residential Energy Tax Credit (RETC) for six more years. And yesterday, following a last minute vote count dash, the same committee passed HB 3227, the bill to create a taxpayer incentive for community solar subscribers. Huge thanks to Clean Energy Collective's Charlie Coggeshall for joining us on short notice to testify. All three of OSEIA's priority bills are out of their first committee (meaning they've meet the first legislative deadline) with unanimous, bipartisan support. There have been no "no" votes on solar yet this year. (The third bill is HB 2760, the property tax exemption for solar and other net-metered alternative energy devices, got out of its first committee a couple of weeks ago). That's a great foundation for the next step in the legislative process: winning the money to fund these programs. The legislature is grappling with a $1.6 billion budget deficit for funding state programs, so any program that costs money is potentially on the chopping block. That's why Monday's Solar Lobby Day is crucial, and the timing is perfect. With all our bills out of committee, now is the time for solar supporters to come to the capitol and help us carry the message of solar's benefit to a broader group of legislators. We have fifty lobby meetings scheduled, including with all members of the next committees our bills will face. This is an opportunity for you to make a big difference. Please register for Solar Lobby Day today is the registration deadline!